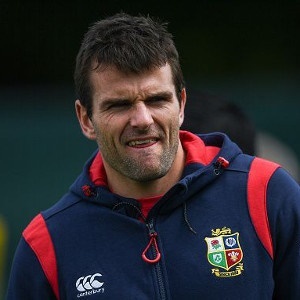 Cape Town - Ulster and Ireland utility back Jared Payne is still struggling to overcome headaches he sustained on the British and Irish Lions' tour earlier this year. The New Zealand-born Ulster stalwart last played when the Lions faced the Chiefs on June 20 in Hamilton. Ulster’s director of rugby Les Kiss said the 32-year-old is still experiencing headaches as a result of the injury. Kiss said the injury was ‘not concussion-related’ and the medical team are being patient with him while he aims for a return. “It’s with the head and the neck and Jared is getting headaches after hard work. We have to work slowly but surely to get him to a point where he is right again," he told the BBC. “It’s certainly frustrating and not ideal for Jared, we’ll do the best we can for him to make sure he is right. According to Kiss, Payne has been training with the Ulster squad, but the headaches are persisting and causing him great discomfort.